Italy loves bitterness- think of bitter oranges, campari, cicoria or olives. All ingredients produced in Italy and loved by Italians. Chicories are celebrated in Italy for their sharp bitterness. In Rome, wild green dandelion leaves grown in abundance and cicoria ripassata (cooked with oil and garlic) is served as a side dish and is on every trattoria menu. Puntarelle also is adored by Romans and is eaten raw with lots of anchovy and lemon. 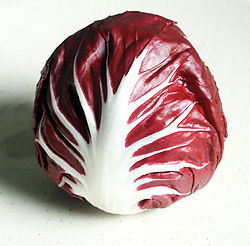 Radicchio though is undeniably the most picturesque of the Italian chicories, with its deep purple/reddish and white leaves. 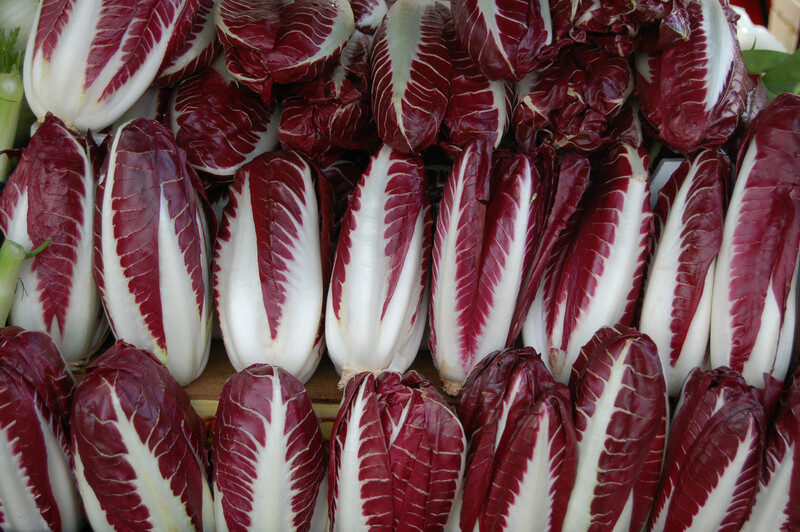 There are lots of varieties- the most sought after is the Radicchio Rosso di Treviso, grown in Treviso and DOP protected. It is like the cavier of vegetables and costs a small fortune if you are able to find some. Perhaps bitterness is so loved in Italy, because as a rule, bitterness is equated with high nutrition. Some of our favourite ways to eat radicchio are in a simple risotto or cut into wedges and grilled and then served with balsamic and gorgonzola. 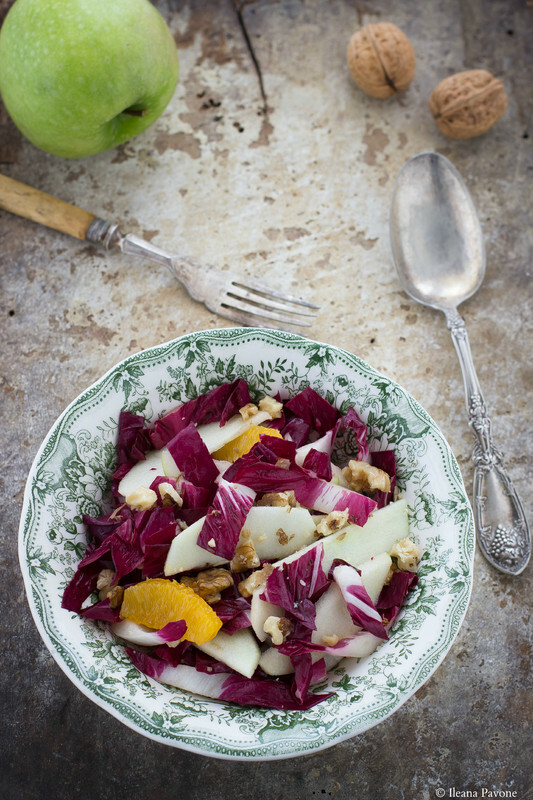 As it is almost summer though, we are sharing with you our favourite radicchio salad which celebrates the bitter vegetable in all it’s raw goodness. Put all the ingredients in a large bowl. Add the red wine vinegar, olive oil and mix with your hands. Taste and then adjust with salt and pepper to your liking.